I was originally going to call this post “Sangria for One”, but people told me that sounded really sad. Doesn’t that say a lot about the way we think? It seems that being alone is synonymous with being lonely, but that’s just not true. Being alone sometimes is important. When we’re alone we know exactly which show to watch on TV. We know exactly what to eat. We know exactly what music to play, how loud to play it, and how loud to sing to it. 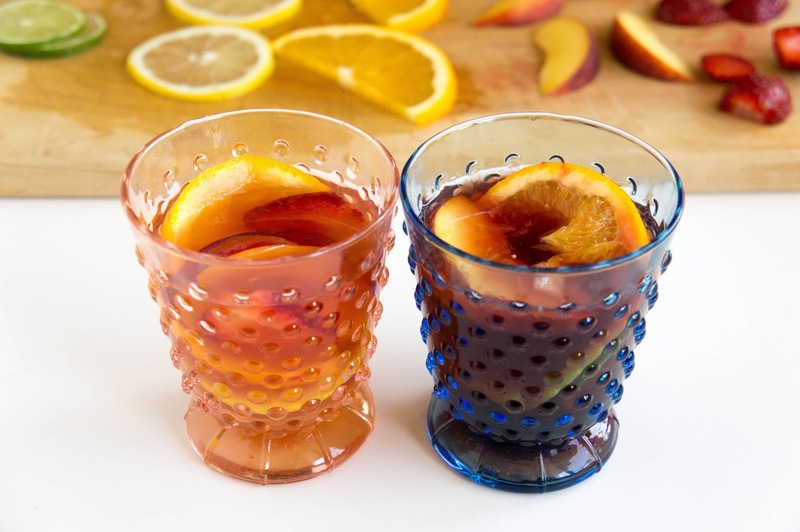 Sometimes we are alone and we want some sangria, but we don’t want a whole pitcher of sangria, because we don’t want to wait until a few friends show up, and drinking a whole pitcher of sangria alone can result in potential problems (especially if it’s a Sunday). So I present to you, personal sangrias. 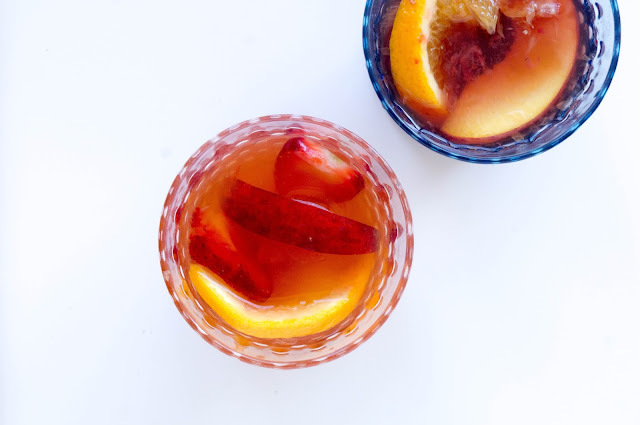 Just like regular sangria, but smaller. 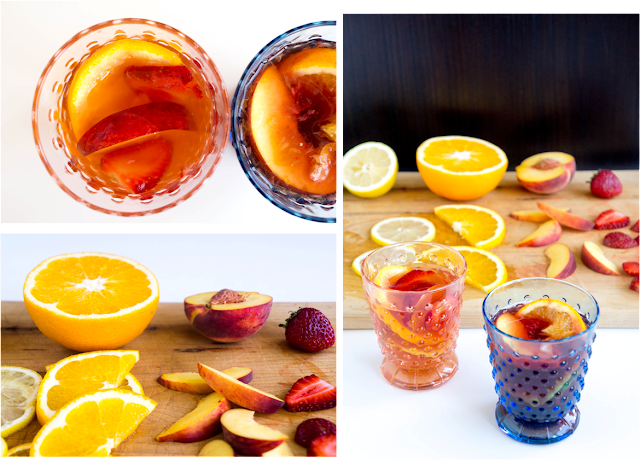 Brightly coloured citrus, strawberries, and peaches are smashed with some simple syrup and brandy, then topped with fruity red, or rosé wine. I made mine with some cranberry wine or cranberry/apple wine from Muskoka, because a friend had just brought some for me, but a Syrah/Grenache is classic. 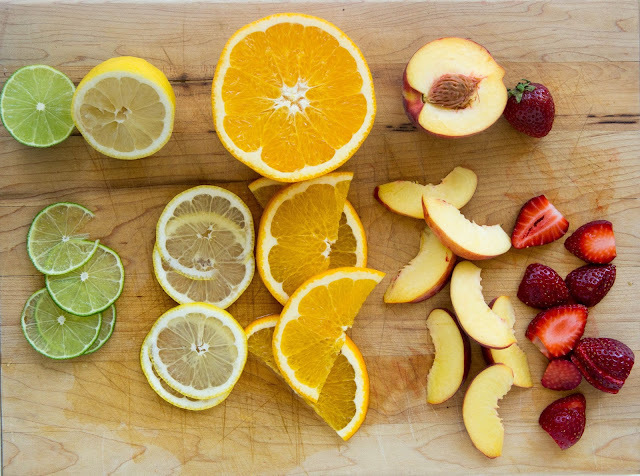 The citrus is mandatory, but the other fruits are totally optional. Pick whatever you want! So let’s mix up a sangria and fully enjoy our time alone. We deserve it. Place a slice of orange, lemon, and lime in glass. 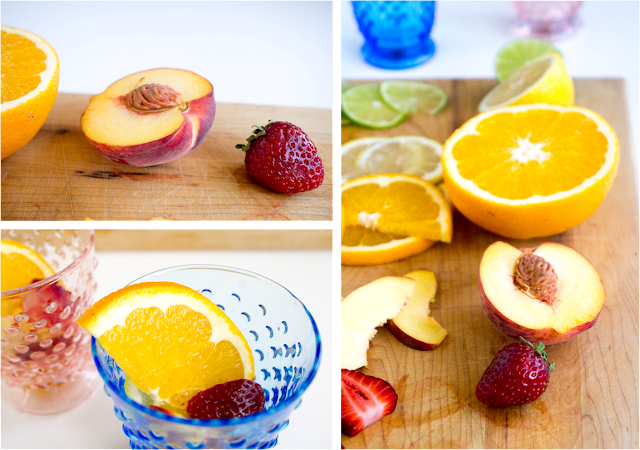 Also include some strawberry slices and a peach slice if desired. Add simple syrup (or sugar) and brandy. 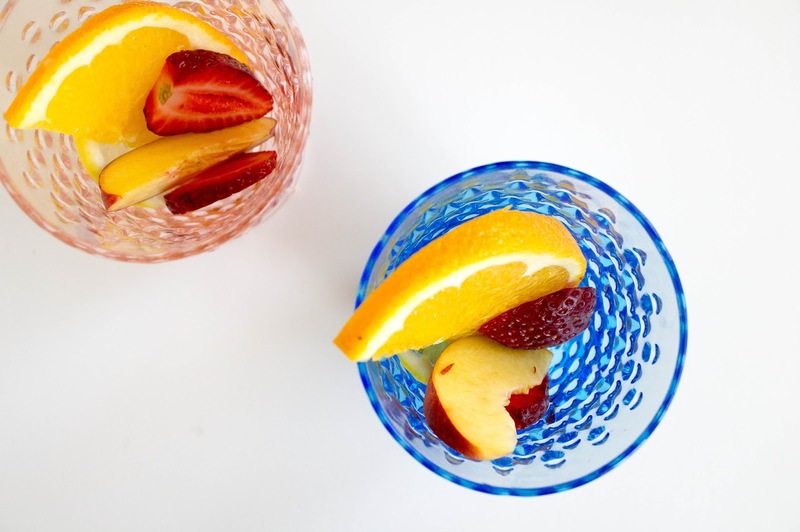 Muddle together until the fruits release some of their juices. If you used granulated sugar it probably won’t dissolve completely, that’s ok; a little undissolved sugar never hurt anybody. Add wine and stir. If you like it on ice, feel free to add some, I just prefer it without. Cheers! I love, love, love sangria. This is perfect! WOW! This is really an amazing and attractive post about recipe of Sangria. I appreciate your posted wonderful photos. Thanks for sharing such an interesting post.